Luster Dragon #2: Sconfiggete Luster Dragon nel Civilization World 5 volte. Reaper on the Nightmare in “CPU Duel”: Sconfiggete Nightmare Penguin, in World 1, 5 volte. Slipheed in “CPU Duel”: Sconfiggete Storm Shooter, in world 1, 5 volte. Water Dragon: Sconfiggete Kairyu-shin 5 volte. 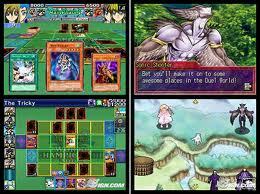 Yellow Duel Disk: Sconfiggete tutti World 1 opponents 2 volte.